In my last tutorial I posted about the Japanese Short Row method ~ but that’s not the only way to work short rows. In this tutorial we’ll review the Wrap & Turn method. 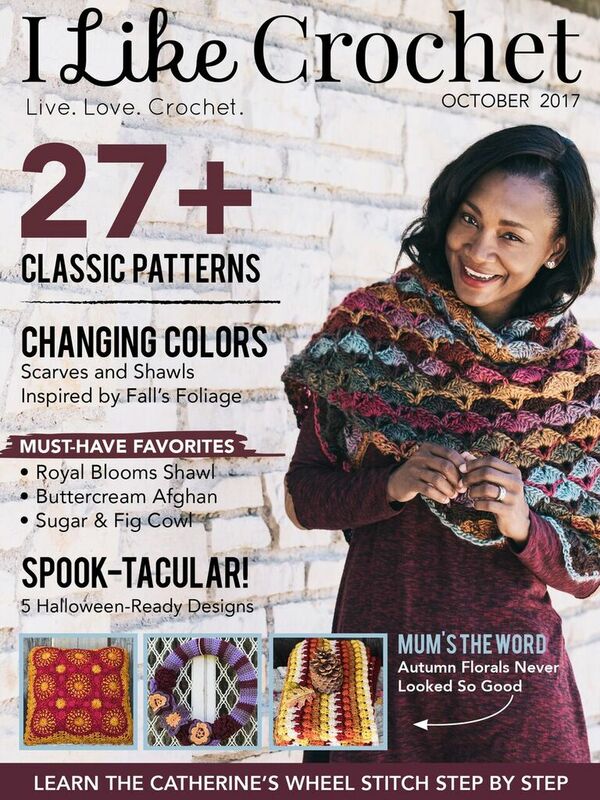 When reading a pattern that includes short rows, Wrap & Turn (W&T) is the method most often used. 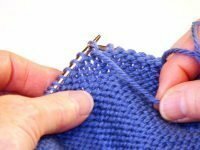 And while many knitters feel that working short rows is an advanced skill, as we review working short rows, you’ll see that it’s really not that difficult and you’ll be working short rows with confidence & ease in no time. So let’s start ~ the term “short row” refers to working a row of knitting part way, then turning and working a partial row on the next row. This adds two rows to this section of your knitting, and length for that area only. 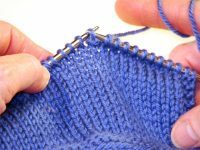 Because you now have two additional rows in one area of your knitting, there is generally a gap between them and the rest of your work. 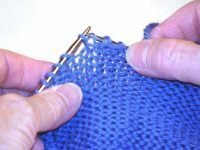 Using the Wrap & Turn (or Japanese) method of working short rows will hide that gap and make the join between the additional rows & the body of your work neat & tidy. Knit Side: Work to where your short row turn will be, bring the yarn to the front, slip the next st to the right hand needle, take your yarn to the back. Turn and complete the next partial row, slipping the “wrapped” st.
Knit Side – Closing the Gap: When you reach the wrapped st, slip it to the right hand needle, pick up the wrap with the left hand needle, slip both the st & wrap to the left hand needle and knit the wrap together with the st it wrapped as if working a k2tog. Purl Side: Work to where your short row turn will be,take your yarn to the back, slip the next st to the right hand needle, bring your yarn to the front. Turn and complete the next partial row, slipping the “wrapped” st.
Purl Side – Closing the Gap: When you reach the wrapped st, pick up the wrap with the right hand needle, place the wrap on the left hand needle with the st it wrapped, and purl the wrap together with the st it wrapped as if working a p2tog. 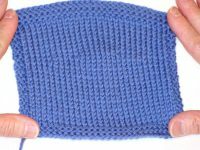 Completed short rows – see the additional fabric in the center of the swatch? 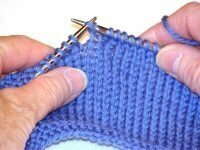 I hope you’ll give short rows a try ~ there are so many great uses for them. One of my favorite ways to shape a shoulder slope is with short rows and both my vest patterns ~ Treyi Vest & Celtic Cabled Slipover ~ incorporate short rows to shape the shoulders. 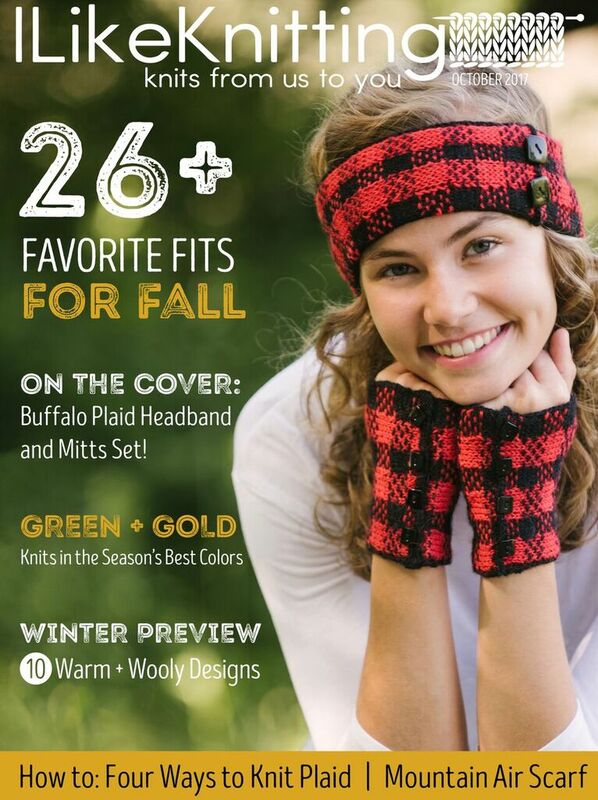 Here is a PDF you can print to keep in your knitting bag for easy reference….Wrap & Turn Short Rows. And if there is a technique you’d like to learn about, or a knitting tip you’d like to share ~ please let me know by posting a comment or completing the Contact form on my Contact page. I’d love to hear from you!